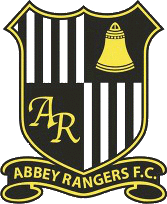 Abbey Rangers were initially founded as a youth club in 1976, with the name coming from the nearby Chertsey Abbey. The club spent its early years playing in both Chertsey and Addlestone, before eventually settling in Addlestone. 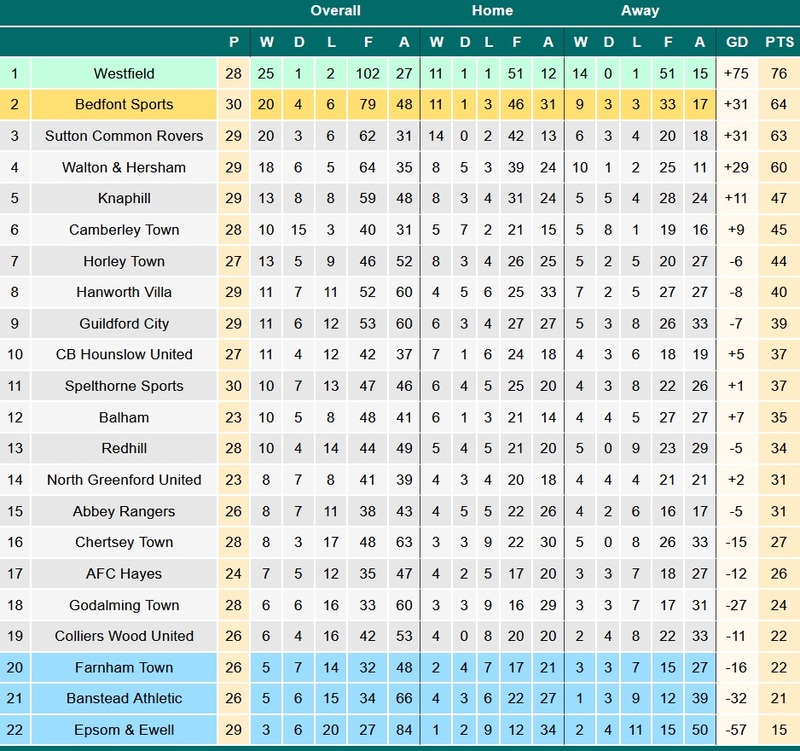 At the end of the 2004/05 season, the club won Division 1 of the Surrey & Hants Border League, then finishing as runners-up the following season to move up into Division 1 of the Guildford & Woking Alliance League. 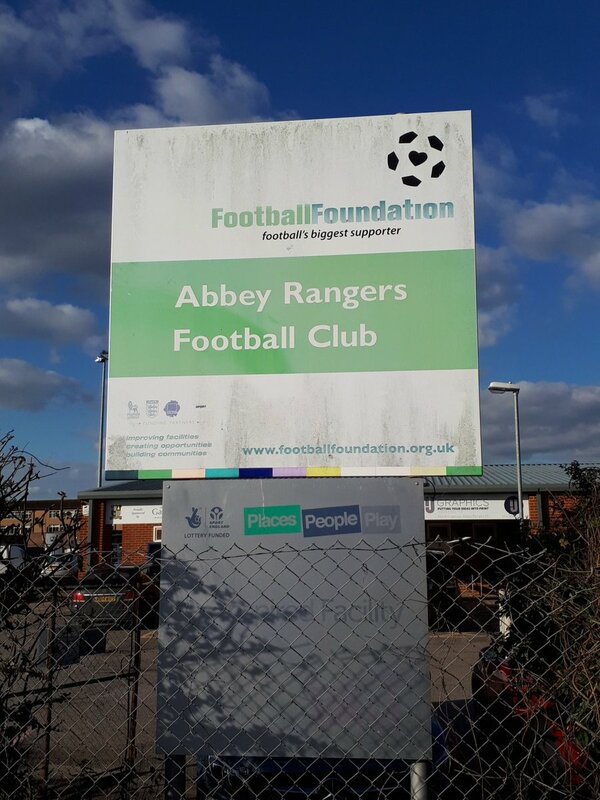 The club won Division 1 at the first attempt and moved into the Premier Division, finishing runners-up in their first season to earn promotion to the Surrey County Intermediate League (Western), winning this league at the first attempt (in the 2008/09 season) to earn promotion to the Premier Division. 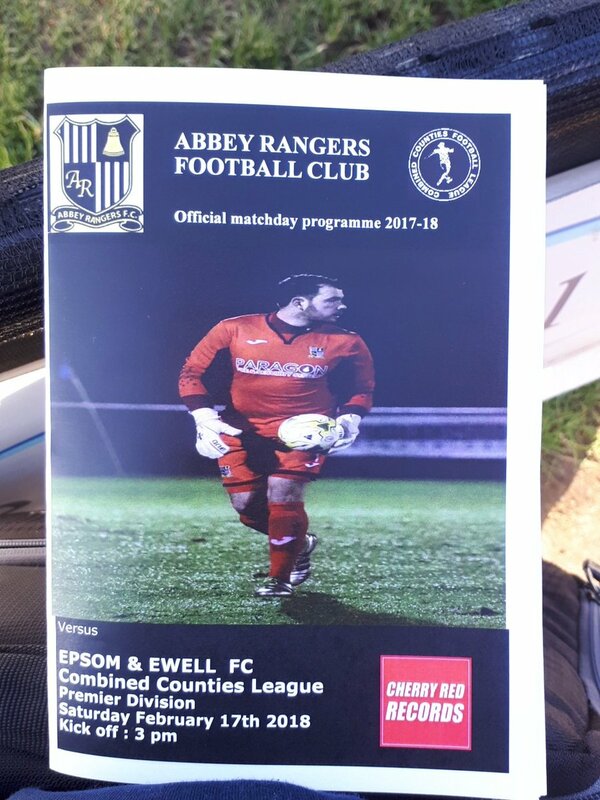 After finishing as runners-up in the 2010/11 season, the club joined the Surrey Elite Intermediate League, where they stayed for four seasons before earning promotion to Division 1 of the Combined Counties League at the end of the 2014/15 season. 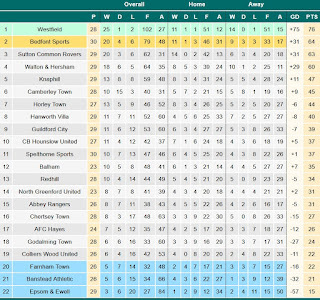 A 3rd-placed finish followed in their first season at this level, earning promotion to the Premier Division at the first attempt, which was followed by a respectable finish of 10th. 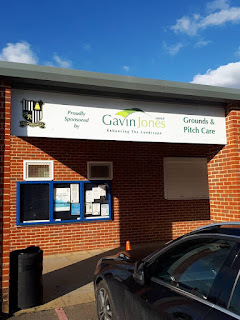 In the FA Cup, the club have yet to win a game in either of their two seasons in the competition, but they have seen slightly more success in the FA Vase, progressing as far as the 3rd Round last season: they beat Shrivenham, Badshot Lea, Tunbridge Wells and Epsom & Ewell before losing 2-1 at home to Eastbourne Town. Originally, I was hoping for Matt to be able to join me yesterday, so that I could go and watch a game in London for a change of pace (I was hoping to be able to visit Raynes Park Vale, although their game was postponed due to standing water on the pitch, despite a couple of days of sun prior to yesterday). However, with family visiting him for the weekend, that plan was no longer viable, so I decided I would stick local again. Once I made this decision, it was then a matter of looking for games, with the only proviso being that I wanted to stick to Step 5 or 6, in the hopes of avoiding a repeat of last Saturday's awful match. 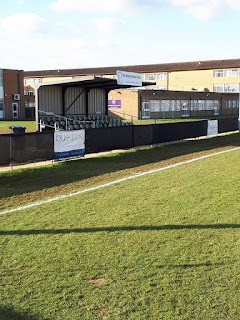 Unfortunately, there weren't many stand-out options among the Step 5 games, so last night I decided to ask people on Twitter to convince me which of my three options (this, Farnham Town and Camberley Town) I should go and visit. Camberley never responded, and only one person tried to convince me to visit them, so they were quickly ruled out. 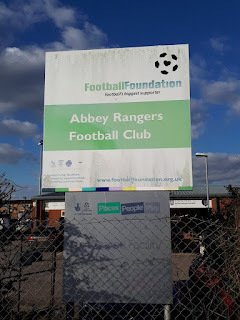 However, both Abbey Rangers and Farnham were quick to respond and try to convince me one way or the other, and so were Rangers' opponents Epsom & Ewell. I opted to leave it until yesterday morning before making a final decision, reading through the comments again and also looking at the trains to help me decide. Ultimately, a combination of easier trains and the promise of chicken nuggets (an unusual choice of football food, to say the least) helped me make my decision, so I ordered my train tickets and, after having lunch, headed to the station. While the train journey shouldn't have been particularly difficult, the unreliability of South Western Railways soon caused me problems, as my train got into Woking three or four minutes later than it should have done, giving me little time to catch my first connection to Weybridge. As a result, I missed it by a matter of moments and had to wait half an hour for the next one. Thankfully, the journey after this was plain sailing, but 20 minutes waiting at Weybridge station wasn't particularly exciting due to the poor 4G signal in the area (I should mention that, because of the delay, I actually spent more time waiting at train stations than I did travelling between them, which is quite ludicrous really). It was supposed to be a 20 minute walk from the station to the ground but, fortunately for me, it only took 15 and, as such, I was able to get to the ground five minutes before kick-off, paying £6 for admission and £1 for a programme, before then taking a couple of photos until the players came out for kick-off (I ended up doing my usual circuit of photos at half-time, while trying to eat the aforementioned chicken nuggets (which were delicious, by the way, and one of the only consolations for the dismal match). From the table, I should have known to expect little out of this game, but I was hoping that Epsom being bottom meant that there would be a sufficient gap of quality between the two teams for there to be a few goals (or at least some kind of entertainment). Well, I thought it couldn't get much worse than the terrible game I saw last week, but apparently I was totally wrong. This was a game with no skill, quality or ability on effort for the entirety of the 90 minutes, with just 5 clear-cut chances all game and the only truly notable incident being when an Epsom sub was sent off on 77 minutes for a second yellow, just five minutes after coming on. 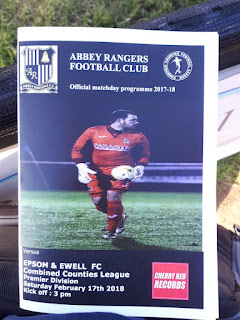 This was truly turgid stuff, one of those games that makes me wonder why I even bother groundhopping sometimes: it probably feels even worse given that it's come off the back of another awful game, but even if that weren't the case this would have been a waste of time and money. This was also my first 0-0 since I saw Norwich draw with Sheffield Wednesday back in August 2016 (a run of 64 games without a 0-0, overall). 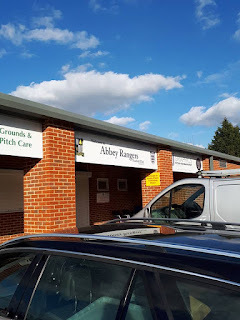 For the second week running, I made the wrong choice of game (the game at Farnham ended 5-2 to the away side, as if to rub salt in the wounds). However, the club seemed friendly enough and the chicken nuggets and chips were good food, so it wasn't all bad. Hell, even the weather was nice for once, with no rain to be seen (it still wasn't that warm though, but some sunshine and no rain is progress). For next weekend, I had been thinking of heading to Bracknell Town for their FA Vase Quarter Final, but now I'm not so sure, as I want to go a game where I am essentially guaranteed to see a few goals, or just something so that I can actually write a proper match report again (I definitely need some goals though, no doubt about it). 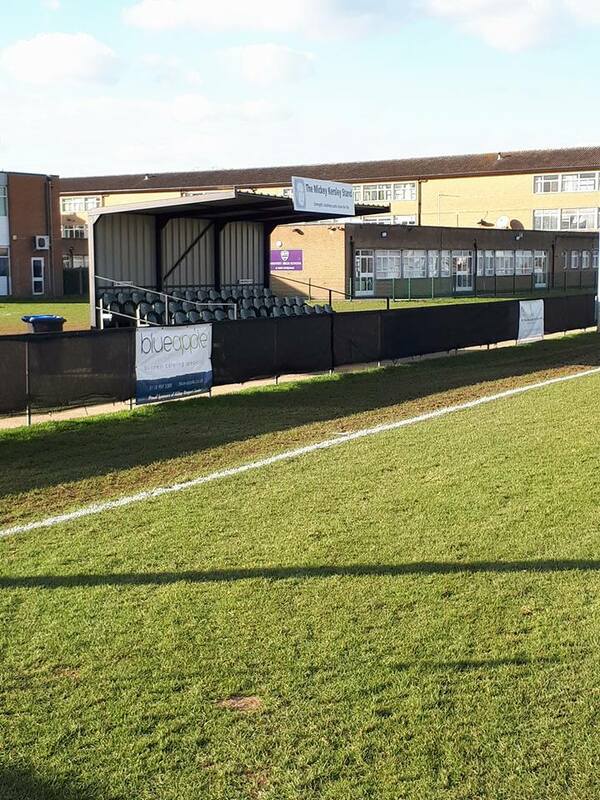 As is perhaps to be expected from a team who have risen rapidly through the leagues in recent years, Addlestone Moor is a basic but functional ground, with just the two 50-seater Atcost stands for football furniture, as well as some small metallic area of cover next to one of these. There is also some cover and seating under the clubhouse overhang, but this seating is in the form of wooden benches and tables. The ground only has hard standing on three sides, with the fourth (the area behind the far goal) lacking any of this, but not being out of bounds to spectators. This area also backs onto another pitch (presumably used by the club's youth teams), so perhaps this is why there is no hard standing on this side. As a guess, the ground probably has an overall capacity of 1,000, and there isn't really much room for expansion (not as though there's likely to be a need for it anytime soon). However, there are a couple of Atcosts to the side of the ground that are currently not being used, so it might be the case that the club is planning to properly install these at some point, although I do not know for definite if that is the case or not.